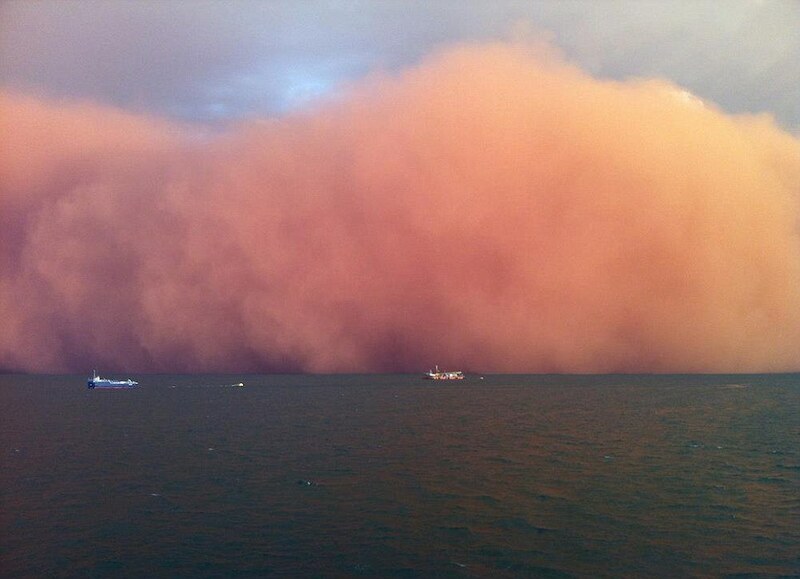 An enormous wall of dust has hit part of Australia as residents brace themselves for a tropical cyclone. 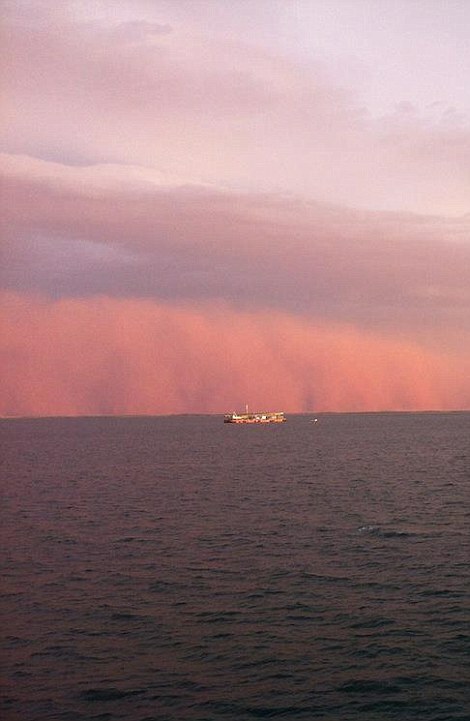 The stunning images of the wild dust storm were captured by tugboat works and aeroplane passengers near the town of Onslow in north-western Australia. 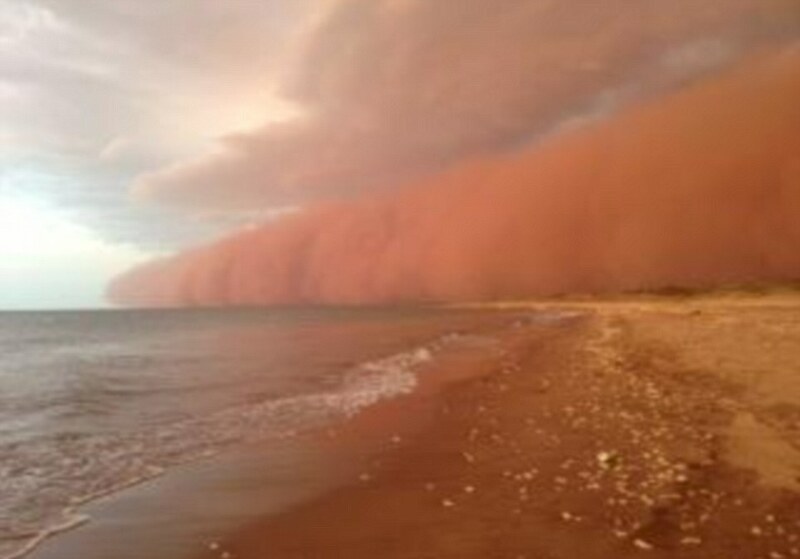 Local reports say the huge swathes of red sand and dust had been picked up by strong winds in the Indian Ocean before being dropped near the town. 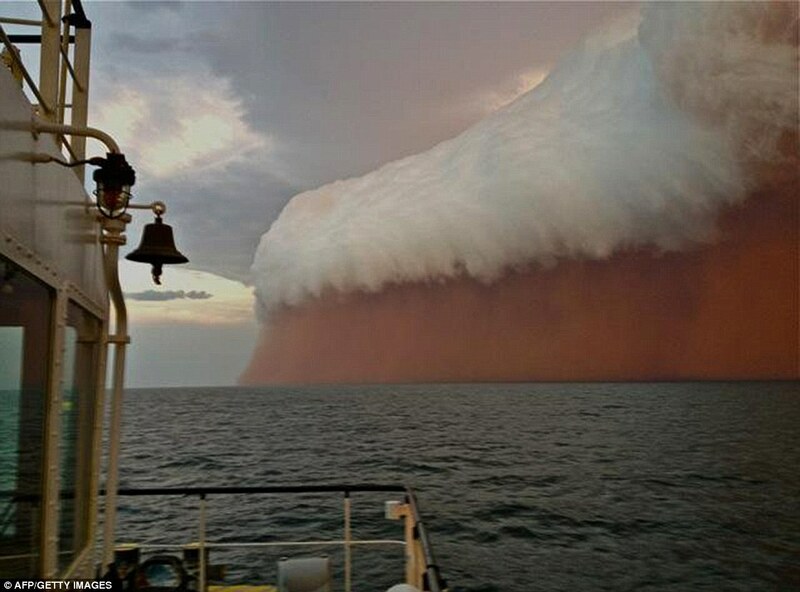 The tsunami-like wave of sand could be seen travelling for miles and dwarfed ships out at sea. Tugboat worker Brett Martin, who shot some of the pictures, said before the storm hit conditions were calm and glassy. But when the dust arrived visibility was reduced to just 100 metres and the swell rose to two metres. 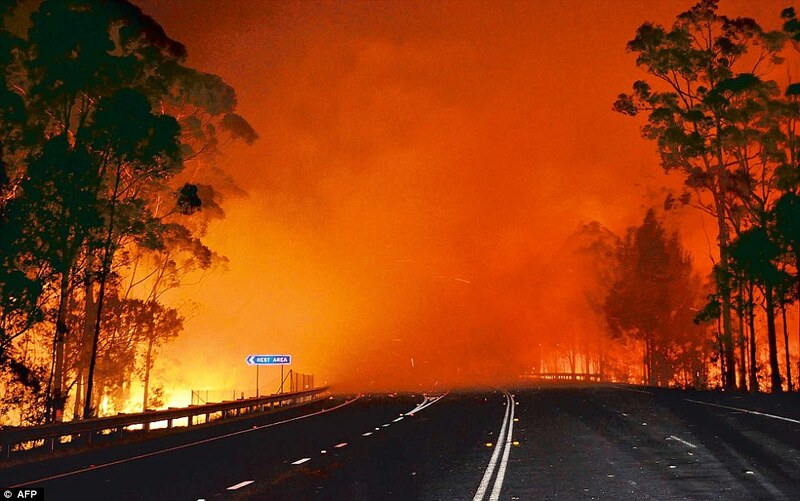 It is the latest incident in weeks of dramatic weather in the country that has been besieged by terrible bush fires after unprecedented high temperatures and strong winds ravaged much of the south east. But now residents in north-western Australia are preparing themselves for the arrival of Tropical Cyclone Narelle. 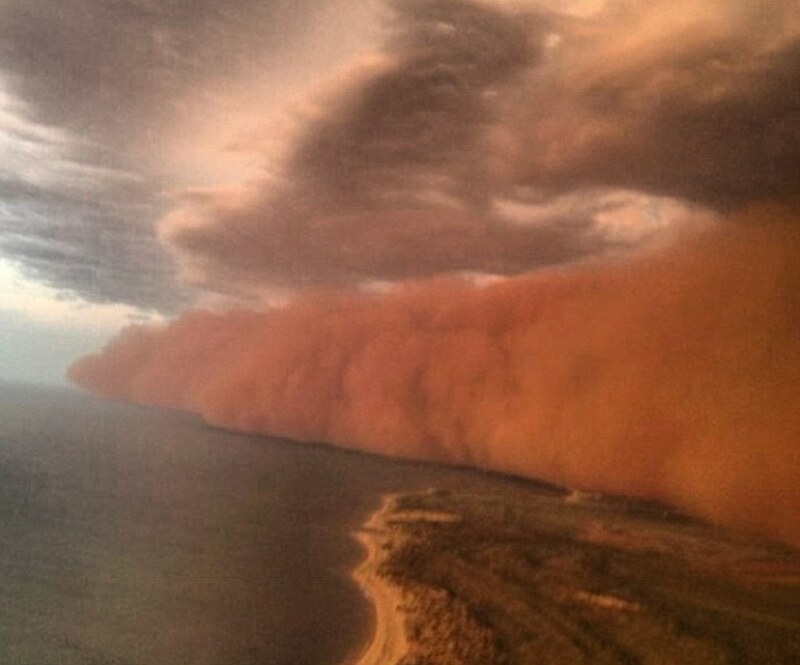 Bureau of Meterology manager of climate services Glenn Cook told The Australian the dust storm was not directly related to the cyclone - the centre of which is still hundreds of kilometres away. 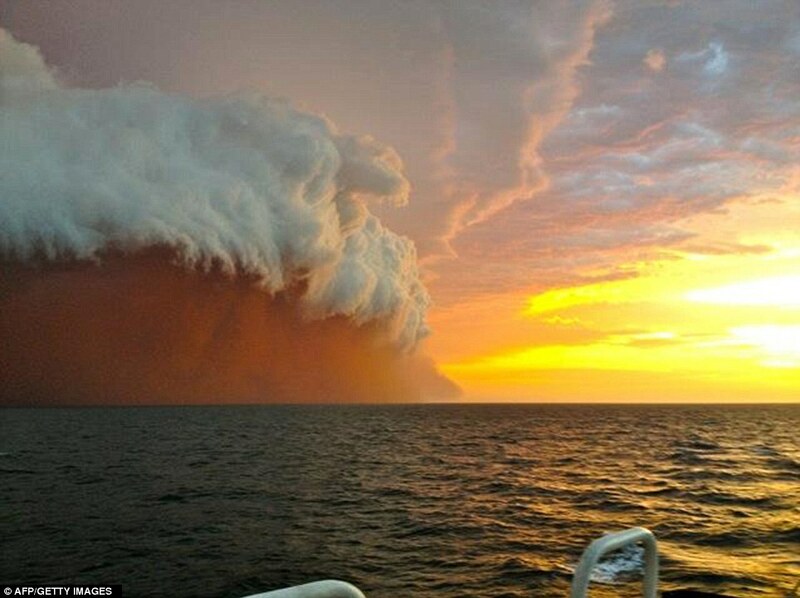 A dust or sand storm is a weather phenomenon common in arid regions like the Sahara and Australia. They develop when a strong wind blows loose sand and dirt from a dry surface, firstly causing them to 'creep' along the ground then saltate or 'leap' into the air. These particles then begin to break into smaller ones after repeatedly hitting the ground and eventually become suspended in the wind. The term sandstorm is used most often desert environment while duststorm is applied to occasions when finer particles are blown long distances, especially over urban areas. Wind gusts in Onslow reached 63mph and the dust storm was made worse by the lack of rain in the region. 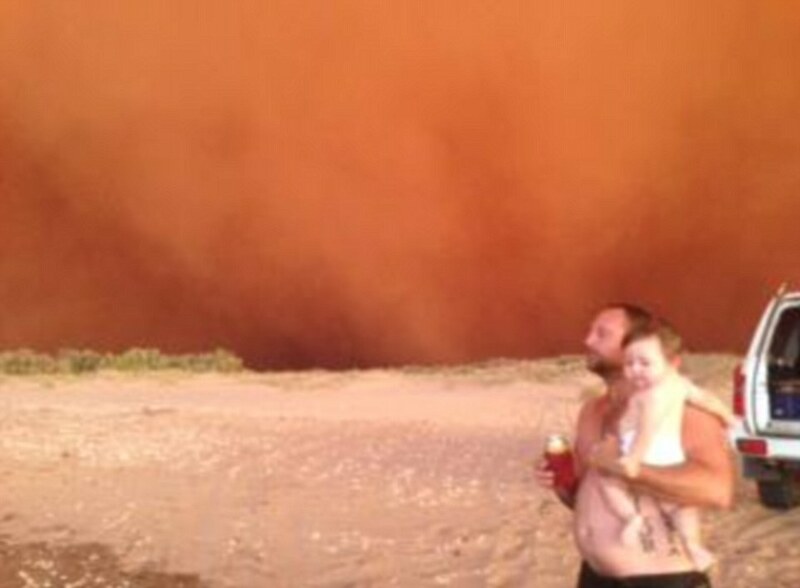 He said dust storms were rare and may only happen once or twice a year, if at all. The dramatic weather is set to continue as the category-three cyclone heads to north-western Australia. Local forecasters warned of 60mph gales and gusts of more than 80mph and oil and mining operations are preparing to close when the cyclone lands. 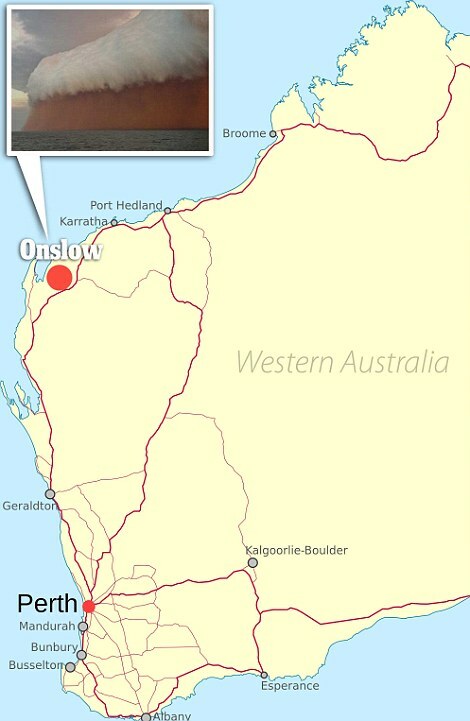 Car giant Chevron is also set to evacuate workers from Barrow Island - about 30 miles off the coast.